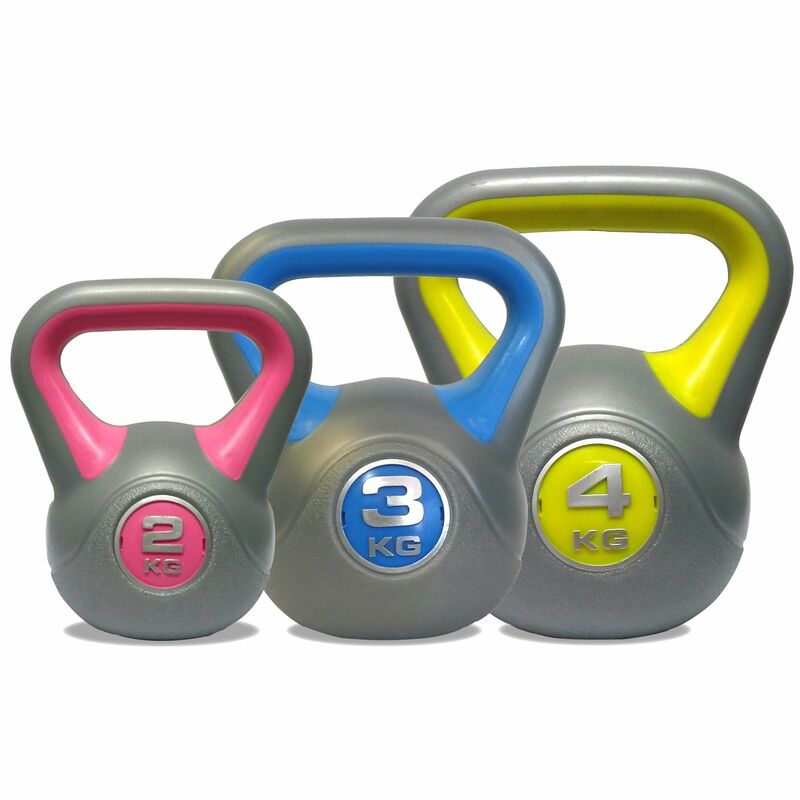 The DKN Vinyl weight set includes 2kg (4.4lbs), 3kg (6.6lbs) and 4kg (8.8lbs) kettlebells with an anti-slip base for added safety and an ergonomically designed handle for a comfortable grip. The set is perfect for developing core and functional strength, toning the muscles, as well as for strengthening the joints. The kettlebells are colour coded for ease of use and offer a strong moulded construction. 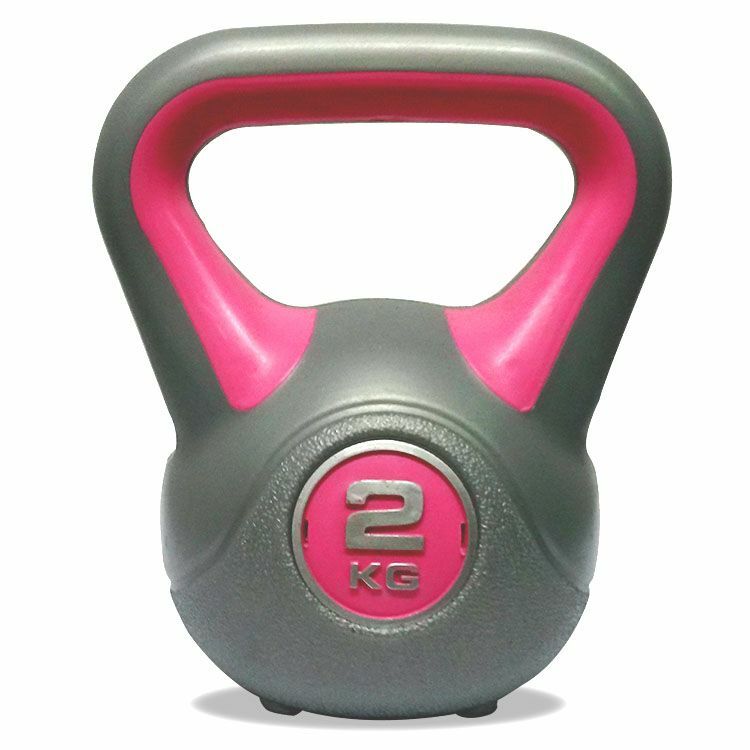 for submitting product information about DKN 2, 3 and 4kg Vinyl Kettlebell Weight Set We aim to answer all questions within 2-3 days. for submitting product information about DKN 2, 3 and 4kg Vinyl Kettlebell Weight Set. We aim to answer all questions within 2-3 days. If you provided your name and email address, we will email you as soon as the answer is published. What is the postage cost to kintore AB510TW please? Unfortunately this postcode is only available with an up to 3 day delivery service and a fuel surcharge of £15.00 will be charged with the order. Found these to be as expected and does the job I needed them for . Deliverly speedy and well packaged . Nice and big handles on these kettle bells which really helps. Ordered at lunchtime and they arrive the following day. good quality, fast delivery too. worth it. We purchased this a gift for my son to help kick start his strength training to improve his Squash. It came really quickly and the service was great. I know my son has been using them quite a bit and I've heard no complaints from him so very happy and would recommend. These do exactly what you'd expect them to. You can't go wrong for the price. I've used these occasionally for the last 3 months and very happy with them. No complaints at all. I won this set of kettlebells in a Sweatband competition. The set of kettlebells were delivered very quickly on the day stated in sturdy packaging. On opening, in addition to the kettlebells the pack contained an information chart giving advice on staying safe while using kettlebells and 15 different exercises described using text and photographs. 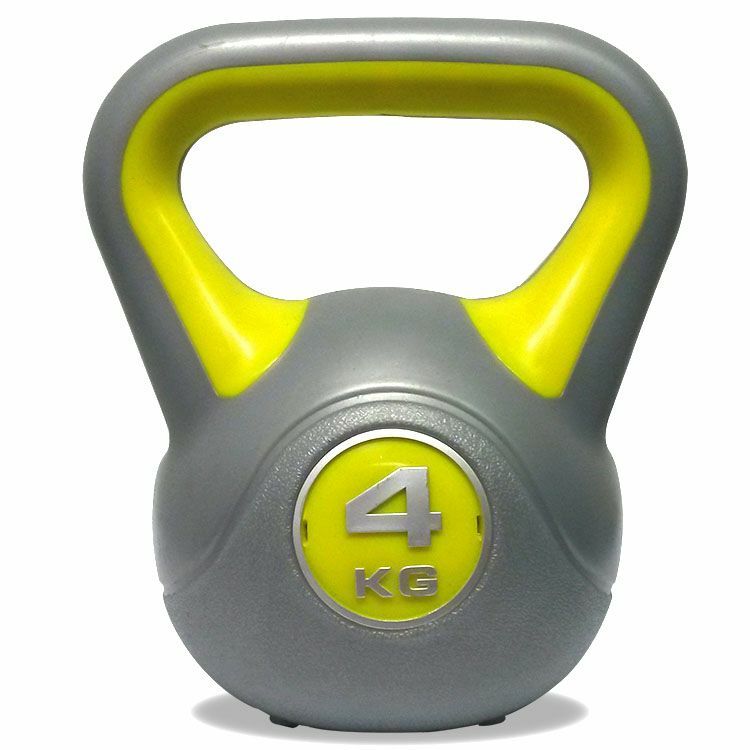 The kettlebells seem pretty sturdy and because they are made of vinyl and have four soft pads on the bottom of each kettlebell they are less likely to damage anything if you knock into them when transporting from room to room and are safe to place on tiles or table tops. On the negative, they have slightly raised seams under the handles which may cause some people irritation as they have a sharp feel. Also, depending on the hand size of the user, they may find the handles on the 2Kg and/or 3Kg a little short. I have large hands and as the kettlebell handles increase with weight the 4Kg is fine. Overall, these are a really good buy and if you are looking for a light set (which I was) you do not need to look any further. 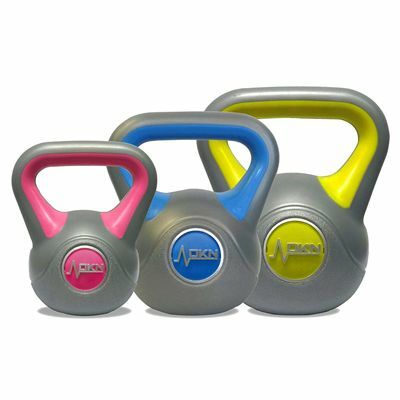 Brilliant kettlebells! Speedy delivery and superb customer service! 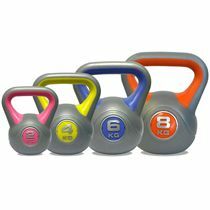 A great set of kettlebells- would make a lovely gift for a loved one as they are manufactured to a high standard. They are smooth and comfortable to handle and can be used for various workouts. I bought this set for my daughter and she loves them! They are getting lots of use and are great value. Very happy! Order received a day after I placed the order (impressive). These weights have a nice solid feel and grip. They do exactly what they are meant to and I prefer that they are not 'original Russian bulky iron bells'. I have used them for about 3 months and can definitely feel them working! Bought these for toning and they are great, even my flatmates use them for home workouts now and we have a lot of fun! Highly recommended! Good quality product- just as good as the Reebok ones I used to use. Easy to clean surface. Could be better grip on the inner side of the handle but apart from that they are great! 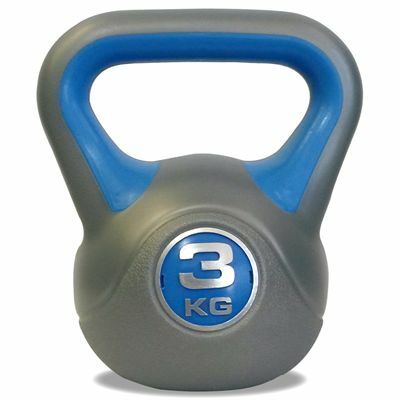 for submitting product review about DKN 2, 3 and 4kg Vinyl Kettlebell Weight Set.